I have been caching for almost 12 years. It's been cool to see how the cache page has changed over the years. Many features have been added which increase the function of the page over those years. At various times I have used them. For instance the send to GPS: Sometimes I want to load just one or two caches as that is all I have time for that day. Or I am using my Fenix watch and it wont work with my Mac caching program because the Fenix is too new of a GPS. Other times I might be planing for a long trip, so I use the Bookmark this page from the search map. I guess what i am saying, is that having multiple functionalities, which are seemingly redundant, still have value. It's like that one weird tool you got years ago. You use it once and awhile, but you would never throw it away as it doesn't take up much space. However, please, please, please do not ever get rid of the print feature. I have kept every cache page that I have found in a scrap book (many many scrapbooks) and It would kill me to not be able to continue to print them out. The two maps are not needed. Maybe a nice large map that goes across the top. like on the new search page, that the user could then zoom in and out on to see what they want to see. The cache pages seem pretty functional to me. The information is generally appropriate and seems to be more or less in the right places. Both of which I would say are excellent functionality and save copying and pasting the coordinates to other places. There are probably ways to make the layout slightly more modern and so on. It might be appropriate, seeing as the pages are essentially pulling data, to provide the option of different display types for people. This would help add accessibility functions for example. Opera's accessibility mode copes fairly well with the page but the layout could be optimised for accessibility better I think. In-house geochecker - I do find geocheckers useful and it's always nice when owners provide them for puzzle style caches. Perhaps this would encourage their use so I guess that would be a good thing. Ability to filter logs by clicking on log type icons - That would be helpful I think. Generally like everything that is available on the cache page. I like the watchlist as it is fun to see how many people are watching a particularly entertaining cache, or one that is notoriously hard or adventurous to find. It would be nice for the CO (or others) to know WHO is watching. We have been geocaching, using Groundspeak only, for 10 years. I like the cache page the way it is right now...mostly. I better give some background, since we seem to be freaks now-a-days. We do not have any mobile devices. No apps, no 3rd-party tweaks, just straight-up old-timey geocachers. I generally pick an area, go to the Geocaching.com map of that area, then click on the caches. I read all the previous logs and look at any photos that have been added. I pick and choose which caches we will hunt. I don't use gsak and we rarely ever use pq's. What I do is create folders on my desktop. Name them something like "geocaching and the date or area". I download the gpx file for each cache into the appropriate folder. I then use GPSBabel to transfer them to our good old 60csx. I don't think I have ever used "send to gps"
In the olden days, I used the "print friendly" function, but stopped wasting paper and ink a long time ago. The "driving directions" feature is hilarious and useless to us. I don't care if Groundspeak wants to use its resources to create their own geochecker. I agree with others about removing the "number of watchers" on a listing. It's seems to drive some cache owners insane. I would seriously like it if the "placed" date was locked, and could not be mucked about with by the cache owner. I have no idea why cache owners can fiddle with that. I would much prefer the search option "...all nearby caches" to be at the top of the list, but it's not important. Please don't change the look of the cache page. The new search page looks "bloated" and has a lot of wasted space. Please don't do this to the cache pages. If it ain't broke, please don't modernize/update/hashtag it. Leave it as it is...simple and legible. I live in Austria close to Vienna, started geocaching in February 2004. IMHO less might be more, because the main attraction should be the cache, not the nifty functions. Map (overview) I really appreciate the map overview and then the zoomed in version. I use those two all the time. Corrected Coordinates Love this, although I haven't used it yet. It's been off my radar. Will start using. Photo Gallery Really adds to the experience. Love this!! In-house geochecker This would be really, really nice. It would be great if it could accommodate adding clues when people get the correct coords, just like some of the other checkers. I'd love an in-house checker. A lot of cache owners don't have them or don't know how to add them and it would be great to have. Add event start and end time fields This would be REALLY GREAT to have!! Some people forget to add it. I spend a lot of time searching cache pages for this information. Thank you for taking part in the conversation! thank you for asking for our input since we use it. I agree with DanOCan's comments that the space used for the overview map would be better used with just the larger map. I almost never look at the overview but go directly to the larger map to see other nearby caches. And I wouldn't suggest deleting any of those, since I'm sure many people do use them. There's only one thing that I'd really like to see changed: I wish that the default color for text was black instead of grey. With my imperfect eyesight, I find grey text hard to read, so for caches with long descriptions I usually have to copy and paste the description into a text editor where I can change it to black. OK, I have been geocaching for about 5 years, not a heavy cacher but more when I have time/opportunity. I am a basic member and have been the whole time, don't feel that premium gives me anything that I NEED to play the game. Often will look for an interesting place that has a geocache at the site or nearby and spend a fair amount of time getting to that cache (longer drives or walks). Usual MO is to look at the goecache map to find someplace interesting, read cache page from there then save cache to "Offline List" on the paid GS Android app. Use app for navigation too cache and for checking details/logs/hints when in the field. Post logs either from app or website depending on what mood i'm in. Most of this is the bare minimum when it comes to looking for a cache, all works together to give an idea of what you are looking for. In saying that, I don't generally pay too much attention to favourite points and find that the small overview map to be of little use to me. From this list I will say that I don't use the driving directions, I find them to be more of a hinderance than a help if you can read a map properly. -Print options work well when I've wanted them in the past. -Inventory is good but as other's have mentioned it would be good for CO's to be able to remove trackables that are not in the cache or for finder's to be able to mark trackables in inventory as "Not present when found". -A possibility may be for finders to suggest attributes, things can change a lot in the time a cache is out and displayed attributes may become misleading. -Never use the links to nearby caches, always still have the main map up in another tab and never use the alternate maps either. -While I don't use the "Send to GPS" function it would be good to see the "Send to Phone" button activated so that it sends the cache page to an offline list on the app rather than simply spruking the relevant apps available. A feature like this WOULD make it worth me buying premium membership if I had to to get it. I know that a lot of the changes in the search function were do to help with server loads, thinking along the same lines, is it worth having a settings page for the cache descriptions that allows users to remove the information that they don't require? The removal of anything by GS is going to put SOMEBODY offside but this way those who don't need a particular piece of information don't get it and the load on the servers is reduces as that info is not being sought for by the system. Thanks for the opportunity to provide feedback here. You asked for feedback from both a Web and a mobile perspective. To me, the most important thing is that you clearly separate the two. Please don't try to make a one-size-fits-all interface. Please recognise the type of device in use and send it an interface optimised for that device. What I see on a 24" desktop monitor isn't what I want to see on a phone, tablet or even netbook. I would love a geochecker which has an "automatically update coordinates" button for corrected coordinates. I would also like it to be much clearer that I already have corrected coordinates for a cache. When I have found the cache there is a link to my log (just underneath the "Found It") "Logged on: dd/mm/yyyy", which takes me to the edit log page. I would really like this link to take me to my log in the list of logs, so I can see my log in the context of other logs. From there I could always go to the edit log page if I need, but I can't get to there from the edit log page. This is possibly outside the scope of the question, but... When I click the "Log a new Visit" button, the date which appears by default seems to be Seattle's date (or some other date in the US). Would it be possible to make that date the current local date? I'm 17 hours ahead of Seattle and that date is almost always wrong. I use the print option for any cache when I know I will need to write down answers etc. Earthcaches, virtual caches and some multi caches. I definitely need that to stay. I've never used the driving directions. I do use the "GPX File" and "Send to my GPS" buttons, but not the LOC or Phone options. I never use the small map and don't really see the point of having two maps. I would like to see Event start and end times shown clearly on the page (possibly where the "favourites" would be on a non-event cache). I've been caching 9 1/2 years. I have used the mobile app a dozen or so times the past year - not enough to critique it. I'm happy with the way it works. I have no problems at all with the cache page as it is. There are some features I especially like, which I'll talk about below. Difficulty/Terrain Very useful in the field - these can help direct a search to the right area. Size Also important. A "nano" size category would be extremely helpful. Favorites LOVE this! There are now SO MANY caches in my area that this helps me avoid the drek. Map (overview) I like this = it gives me a nice overview of where the cache is. Map (larger, zoomed-in version) I don't need this. Once I've scrolled down this far, I prefer to use the For Online Maps links - ESPECIALLY Google Maps, because the Pegnan street view feature is extremely useful. Corrected Coordinates I use this now for all mystery caches and find it quite useful. Quick Link Never noticed this. I wouldn't miss it. Print Friendly Please keep. I use this for complex Earth, Multi, and Mystery caches. Driving Directions Never used and don't plan to. Send to GPS I usually use GSAK to load caches, but occasionally use this. I could live without it, but it's convenient for when I want to load just one cache. Please keep the GPX file button. I use that often. I don't use the LOC or Send to my phone buttons. Personal Cache Note (PM feature) Very much LOVE this! I use it extensively to keep notes on multi and mystery caches (e.g. intermediate waypoint info or solution notes). Attributes I find these helpful - I can get an idea, at a glance, of what to expect without having to read the entire description. Find… (links to nearby caches, waymarks) Please keep these. I use them often - especially the links to the various nearby caches. I don't, however, use the Waymarking ones. I'd be more interested in Waymarking if those finds were tracked on my profile page. Other Map Links I use the Google Map link VERY often. As I said before, the Pegman street view feature is very useful. I also use the geocaching.com map link (as another way to see what other caches are nearby - I especially like being able to filter for specific cache types), and OpenStreetMap (it sometimes shows trails not visible in Google Maps). I'd use the terrain maps if they would show the cache location. I don't use the other map links. Watch Please keep the number of people "watching". I have some caches that I've put a lot of effort into, and I enjoy seeing how many people are "watching". Ignore I use this, but greatly dislike that "ignored" caches don't show up in the list of owned caches when I view an owner's profile page. Owner Tools: As the owner of many caches, I appreciate the convenience of these links, except as noted below. Archive Redundant. It can go. Disable Redundant. It can go. "Last Found" summary Sure - why not. It could be convenient. But I have no problem with scrolling down to read the recent cache history. Ability to filter logs by clicking on log type icons Yes - that would be nice. Add event start and end time fields Yes, please. It can be frustrating to search through a long event listing to find the start and end times. Thank you for taking part in the conversation! Thank you for the opportunity! I've been caching since 09, I rarely look at the site on a mobile device. Corrected Coordinates The difference that there are corrected co-ords is so subtle it is not really noticable. In-house geochecker Any chance it can link into Corrected co-ordinates? If I have solved the puzzle maybe in the event the owner moves the caches it would change them to the new location. Thta's a good point to make. I don't see why it should be impossible to at least request the local date/time from the browser. It would be helpful functionality. I'm using all the features of the listing. It runs on desktop and on smartphone too. Please don't change a running system. I have been caching for a little over 5 years and recently passed 3800 Finds. I use GSAK a great deal (the API is wonderful through that program), but I still look at the cache pages alot because I am particular about which caches I seek so I will often skim over a cache page before deciding if I want to add it to my To Find database. Personal Cache Note is very useful to myself and others, especially for puzzles. "For online maps..." - some of these options seem potentially unnecessary. Does anyone actually use Mapquest, Bing, Yahoo, or MSR/Terraserver maps? I have always used relied on Google Maps, plus the Geocaching Map is obviously useful and I have consulted MyTopo occasionally. I don't use OCM or OSM, but since they are user-generated content and often have trail maps I can see there merit. The other stuff seems strictly worse than using Google Maps and Google Earth / Satellite Images. There is a section right below the maps section listing all the photos the CO added when they created the cache. This is unnecessary; those photos can be seen in the Gallery. Owner Tools: I would add "Owner Maintenance" and "Update Coordinates" to this list. The gray box near the top of a cache page with the coords, State/Country, and Distance & Bearing has blank space which would be a great place to say "Last Found: [date]" rather than having to scroll all the way to the logs. Corrected Coords as an option for ALL caches please, not just multis or puzzles. Tell me if I have given a Favorite point to a cache without clicking on the Favorite count. How about 1 map instead of two? Two maps seems redundant. I really like that the second map shows the waypoints though. But really, it's not broken, so why fix it? I have been caching since January 2007, and a PM since May 2007. I pretty much agree with TeamCatalpa. There really isn't anything on the cache listing page that I think really needs changing. There are a lot of things on it that I don't use but I'm sure that others do. I agree with others that the overview map isn't necessary, corrected coordinates for all caches (especially, now that we can search for caches with corrected coordinates), An in-house geochecker would be nice. It could even, optionally, set the corrected coordinates after a successful match. I don't know how a premium member could have been surprised by the new search unless someone didn't log into the site and wasn't reading email from GS. There were a couple of announcements about the Sneak Peak a prominent link to the new page. The "Sneak Peak" thread in the forums was quite active for a month and a half before it was released. 6NoisyHikers here again - caching since September 2010. We exclusively use our Magellan eXplorist GC GPS for caching. As mentioned before, we do not cache by phone because we are clumsy. I'd like to echo TeamCatalpa and NYPC's comments that there are several pages on the site which already function well. Please be careful when upgrading them. Description - while I love that some cache owners go to great effort to create beautiful cache pages, my GPS unit does not like html or images. I suspect too much data is also a problem for people with mobile devices, either with the time it takes to load or the monetary cost of the transfer. It would be really nice to have a plain text option. I don't know if that is a website thing or needs to be designed into one's individual unit capabilities. Map (overview) - This doesn't seem useful to me. Why two maps on one page? I would bring the larger, zoomable map up to this position and make it a more active tool. Most often, I find myself scrolling down to the larger map and just clicking "View Larger Map" to see the area around the cache. However, the cache page map is still really small and panning and zooming around in it doesn't work very well. I would really like to be able to see this information full screen so I can zoom to the right level, be able to see streets or trails, and print out the map for the journey. Clicking "View Larger Map" doesn't show the additional waypoints. I'd like a full screen map which just shows that cache and its associated waypoints. Please. Everything good here. I haven't ignored anything yet but I have a small watchlist and bookmarks for solved puzzles, geotours, and Must-Do-Someday caches. Being able to watch a cache or a trackable is very important to me. In-house geochecker - I think this would be a really good idea so long as you continue to allow third-party checkers as well. I'm just thinking of a few puzzles where the geochecker shows a map or an image when the correct answer is given, and that map or image is part of the puzzle solution. Puzzle designers sometimes choose a specific checker based on its capabilities. Honestly, I like the cache page just the way it is and my only two requests would be a plain-text option for the description and a larger map that shows additional waypoints. "For online maps..." - some of these options seem potentially unnecessary. Does anyone actually use Mapquest, Bing, Yahoo, or MSR/Terraserver maps? Bing maps have an Ordnance Survey map filter. As these are the standard walkers maps in the UK a link to them is incredibly helpful. I find that coverage and quality of imagery can vary between map types as well. There are some areas where google satellite imagery isn't as good as it could be - for example, cloud cover can still be an issue at times. There may also be individuals who don't want to use google services for whatever reason. Having alternatives available is a good thing imo. As a cache owner I prefer those links to be there when setting up my cache pages. I would not want to switch to the gallery to look up the links to include on the cache page. PLEASE DO NOT CHANGE ANYTHING THAT WILL AFFECT MY GPSr USE OF THE INFORMATION. Cache Type - Can we get a separate type for Challenges? Coordinates/Location - Gotta have this. Cache Owner - Nice to know who placed one. Corrected Coordinates - ABSOLUTELY USEFUL!! Quick Link - I have used this on occasion. Driving Directions - I have never used this. Personal Cache Note (PM feature) - I use this sometimes. Photo Gallery - It is fine as it is currently implemented. Trackable Inventory - It is fine as it is currently implemented. Other Map Links - I haven't used this. Owner Tools: All of these are fine as they are. In-house geochecker - meh, other sites have this covered, with various methods - Code word, exact coordinates and close coordinates. Only useful if it will correct the coordinates for me after successful answer. "Last Found" summary - NOT NEEDED, the logs have that info. Ability to filter logs by clicking on log type icons - Not needed, the logs have that info, and chronology listing is more useful. Add event start and end time fields - I LOVE this idea. VERY USEFUL. I'm a geocacher since 2010. Please don't change the look of the Cache Listing page for webbrowsers in direction worse (less usable, less information) for both big and small screens (on smartphones) with wasting valuable space for fancy web-design-reasons. Please don't require more clicks or more reloading as there are from time to time already heavy problems for certain European users with loading the page that make the use of the website almost impossible for hours. A cache that let's say needs maximum 20 lines as gpx is now implemented with 1000 programm lines for scripting (also for other purposes) and at certain times hangs up after getting all necessary informations for displaying the content and still doesn't display it if the following scripts that are not necessary for displaying have a timeout or whatever. That is very annoying. Add event start and end time fields It is now enforced anyway to add start and end time in the description, I'm able to read the complete listing of an event. I also miss the possibility to have corrected coordinates for most other types of caches. I would use corrected coordinates not only for ? and Multi-Caches but also for Virtuals, Wherigos and Letterbox Hybrid where the final is not at the header. Even for Traditionals this could be handy if previous finders posted better coordinates. And please keep corrected coordinates on the map when switching to 'view larger map'. And please keep all waypoints on 'view larger map'. Or don't link to the (old) general map but allow for enlarging the window of the 'detailed map'. Now these informations (both corrected coordinates and waypoints) are lost and only header coordinates shown at 'view larger map'. This is irritating as coming from the new search corrected coordinates are kept, but still not marked as corrected. It would be nice to have corrected coordinates shown and marked on all maps (when also other caches are displayed) e.g. with a red dot in the upper right corner like 3rd party apps do to help knowing which of all the caches out there already have corrected coordinates. I posted once already in the thread, but have a few additional comments based on other posts. YES! And actually this applies site-wide. Though gray text affects low-vision users the most, everyone reads more slowly when the contrast is low. I forget about this because I have a user style sheet set up to override the unpleasant site specs. The only reason for text to be gray is fashion; fashion is often wrong, and certainly is in this case. Overriding with a user style sheet is a poor correction, because without a lot of ongoing tweaks, it cannot allow colored text even when it's reasonable (for example, headings, links, disabled choices, etc). This would be problematic for a couple of reasons. First, the link should not be totally removed, as it's confusing when pages change their format modally. If the link were to be disabled, the visible text should remain, but grayed out, with a mouse-over saying "disabled because you are the owner". This would not save any space on the page. Second, I can conceive of reasons to use the link. If I'm about to send the cache to someone else for adoption, I might want to put it on my watchlist first. I might have email filters that put watchlist emails in one folder and owner emails in another folder, to be examined on different schedules and for different purposes, so I might want to put a cache I own on my watchlist also. These usage examples may be a bit far-fetched and occasional, but they illustrate that it's likely that some cachers want the option -- after all, if only one in a thousand cachers use a feature, that's still several thousand people in the world. this forum thread is only the initial step ... helps us to develop the User Insights games that we build and play with the community ... please don't worry that we are packing all research on decision making on the feature into this single week; it is just the tip of the iceberg. I certainly agree with your approach. Other forms of input, such as the games you mention, are extremely useful. Furthermore, approaching the user community in various ways gathers input from various groups. I note for example that few of the responses in this thread are from people who primarily use the mobile interface -- I suspect they are a much higher portion of the community than represented here, so other ways of reaching them are needed. However, I would point out that quite a few good analysts post here. I would therefore suggest that when you have a set of changes well along the path of development, that you bring them back here for comments. Of course you cannot allow the design to be an unending back-and-forth, and some users will be unhappy no matter what the design includes (even if the design is "no change"). Yet even on that point, bringing in the good analysts in the community prepares them to show other users what's good about the changes and how to use the changes to improve their geocaching experience. I have been playing this game for eleven years. I manage all of my caching through Geosphere (iPhone), and use that to correct coordinates, write personal notes, and transfer cache information to my gpsr, so I only look at the website for limited purposes. Send to GPS. This seems to cause a lot of problems and is probably only necessary for certain units. The GPX button though is essential if I have not otherwise loaded a cache into the app - generally with new caches that interest me or question mark caches that otherwise are excluded from searches. Favorites are of no use to me but I understand that some people like them. The same is true with the driving directions. The proliferation of attributes diminished their value. One zoomable map (that could be user set) would be better than two, but it is certainly not a major issue. When I visit the site, the additional maps and find links are important. I use the quick link at times. But it would be helpful if there was a search box that did not need to be overwritten to find a different gc code. Inventories are fine, but perhaps people who have found the cache could log trackables as missing since a large percentage of the listed items are not there. I like to know how many people are watching a cache. It's sometimes useful to identify if there might be one kind of an issue or the other. I would not use a last found summary. If I want to know that I can look at the logs and it would simply add clutter for me. A field for event days and times would be helpful. I have been geocaching since 2012, but only really got started in 2013. I will soon reach 3000 finds. I don't think there's anything that should be removed from the cache listings. Print: I rarely print a cache page except when going out of my normal caching area, and then usually only for Earthcaches. There are some mystery/puzzles that require printing the cache page, so make sure you keep this feature. Corrected coordinates are a must-keep feature. Links to download a cache - I use GCDroid for geocaching which uses the Geocaching API to fetch caches, so I almost never use the download feature. I rarely use the "other caches hidden or found byt this user" feature except when I find a cacher who seems to create a lot of "wow" geocaches. I sometimes use these: "nearby caches of this type, that I haven't found"
I sometimes use "all nearby caches, that I haven't found"
I never use "all nearby waymarks on Waymarking.com"
I find the mini map less useful than the zoomed in map since you can't drag it around to see the area. The zoomed in map further down the page is significantly more useful since I can pan and zoom to see the area. Maps should support the same map type selected in the geocaching.com/maps view (ie. if my preference is Leaflet, use that instead of Google Maps). Links to other online maps - I don't think I've ever used those. In-house geochecker - after the recent hack of one of the third-party geo-checker sites, it would be nice if geocaching.com had one built in. If this is built, it should offer the option to show an additional hint to those who have solved the puzzle. It should also support the ability to show/hide the number of correct/incorrect solutions, and show/hide a list of those who have attempted the solution. Maybe make the whole geochecker a premium only feature? Last Found summary - this should be shown on the popup on the map and at the top of the cache page. It should show the last 4 or 5 log type icons. ie. 4 Found icons. 4 DNF icons, etc... Many of the 3rd party apps (GSAK, GCDroid, etc...) do this by parsing the logs. This helps me in deciding if I even want to attempt to find a cache. Event start/end times - good idea. Especially if integrated into the "Add to calendar" feature. Right now when I click the Add to Calendar, I have to go edit the event to specify the start time and duration (google calendar) otherwise it shows as an all-day event. Make all image links show up on page, or open in a new tab. It's annoying to click an image only to have it navigate away from the cache page. This mainly applies to owner-provided images as the images posted with the logs already do this. Hello! I am a premium member and have been geocaching since July 2014. I have currently found 467 caches. I use this to insert the coordinates for Puzzle caches I have solved. Unfortunately, this feature isn't available on the app. I would love to be able to have access to this in the app, then click on the coordinates instead of having to call the information up on the geocaching website (on my phone) then copy/paste into Google maps. I use this feature to see if a cache is kid-friendly and also if it is winter-friendly. I really like this feature. 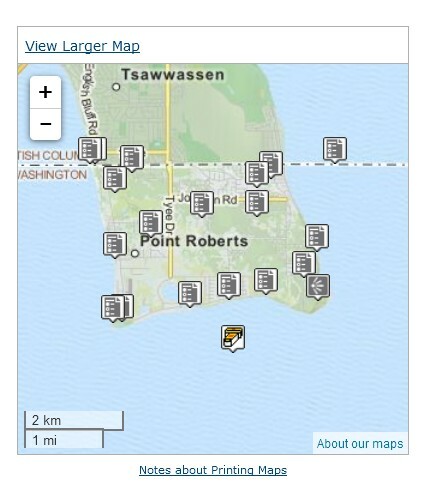 If there were an in-house geochecker, I would request that it be an option to add to new puzzle caches. When puzzle caches are being submitted ask the question, "Would you like to add a geochecker?" It would be nice to inform the submitter about them. I've been caching since April 2011. My input is in red/bolded below. Edit Making edits in the small box and in the raw HTML can be cumbersome. I know you can drag the dialogue box to make it bigger, but not having a preview of the html without simply resubmitting the listing is pretty inefficent. Not sure if you are looking for feedback on this aspect of the geocache page, but as a cache owner, it is something I feel could use some work. Editing cache listings should be as easy/straightforward as when you first submit caches, at least in my view. Having a whole different interface for making edits might mean that less people will bother making edits to their listigs, and keeping them current/relevant.. In-house geochecker I use a 3rd party checker, but if one was incorporated with the site I would probably use it as well, especially if it is customizable like some of the other checkers are. And it would be really awesome if the cache listing automated "corrected coordinates" for you once you got a success on the coord checker. This could be done if the checker was in house, I imagine. In general, there isn't something that really jumps out as me as needing change on the cache listing page. But I would also probably be ok with a different look, or feel as long as the functionality still exists. For example, on some 3rd party apps I use on my tablet, the cache listing is divided into tabs and this seems to work pretty well. There's a tab for basic info, for waypoints, trackables, for logs, for attachments etc... I wouldn't mind if the website was also organized in some fashion as well, might intiually be confusing to folks though as it offers a bigger change from what we're used to seeing. Live and learn though [ ]. FWIW, there are a few apps that can use the Personal Cache Note for puzzle solution coordinates. Neongeo is one of them. But if you use the Corrected Coordinates feature for puzzle solution coordinates, then the solution should be available to any app that downloads PQ data. Description: Important. Would be more useful if more cachers used this as described. Location: If this is the state/country, yes it is important. I do not use it a whole lot, but when I do it takes a moment to find it. I would like to see it more prominent. Difficulty/Terrain: Yes, but still needs to be taken with a grain of salt. Size: Yes. I absolutely hate “other”. Get rid of it. Every cache has a size. And like Virtual, make an event size. Wouldn’t hurt to make it automatic. It’s about time nano became a size. Favorites: Yes. Not very important to me, but I am starting to use it more. Hint: Important. I appreciate a quality hint. I detest “none needed” and the like. Caches go missing and I often use the hint to double check. Map (overview): Not important. Not very useful. Map (larger, zoomed-in version): Important. I use it and also use it to access the map. Date Hidden: Important, but I don’t understand the point of making this different than the published date. They should be the same. Distance from Home Location: I don’t use often use it, but it is helpful for the few times I do. Corrected Coordinates: I don’t use it. I run everything through GSAK anyway and correct coords there. Quick Link: Not sure what this is a reference to. Send to GPS: Important, although I don’t use it often. Great when I need it though. Disclaimer: I get it and I ignore it. Personal Cache Note: I really like this feature and use it. Be great to be able to pull up all my notes. Photo Gallery: Important. I use it occasionally. I liked it when it was part of the home page too and I could click when I saw something interesting. Trackable Inventory: Important, but not accurate due to cachers. Attributes: Important. Should be required to use when creating a cache. Additional Waypoints Find (links to nearby caches, way marks): Use it occasionally. Other Map Links: i don’t use. Lists: I would use more if there were user friendly. Use tabs to separate. Disable: Important. It would be nice to have a quick link to our own disabled caches. Needs Maintenance too. In-house geochecker: I’d like that. "Last Found” summary: Not sure what this is. Ability to filter logs by clicking on log type icons: Not important to me. Add event start and end time fields: Yes and have it work with the Add to Calendar link. I always have to change the time from 3:00 AM in iCal. Geocaching for 7 years now. In general, the cache page is fine as it is. Disable - dtto, I have already disabled my caches a few times but never noticed this link - always used regular log entry. In-house geochecker - yep, add this, there are lots of mysteries around here, they usually use Geocheck now (or Evince) and it would be great to have another alternative. there are lots of mysteries around here, they usually use Geocheck now (or Evince) and it would be great to have another alternative. There's also geochecker.com, and interestingly the geochecker.com domain belongs to..... (drum roll please) Groundpeak Inc. So I wonder if it might be incorporated into the site as they did with the stats page a few years ago. The Basics are all required, of course, except for favorites, which I like but could live without if I had to. Print Friendly: I tried to use this for a while, but in the end I discovered I get better results by just printing the normal page, and more easily. Disclaimer: I always think these are ridiculous. I use "Send to GPS" maybe twice a year, but I suppose the link has to remain for those 2 times. And I guess it's even more important to non-premium people. Just by the way, I find the "Find..." section very useful and remarkably well designed. I never use the "by this user" or waymark lines, but I'm sure some people do. I don't use the Ignore link, but I know others do. I like the suggestion of getting rid of "archive" and "disable" since they should be accomplished by log entries, but I suspect that would just open the doors to a bunch of "how to I archive/disable my cache?" questions. I think geochecking is adequately covered by 3rd parties, and I'm concerned a GS geochecker would run more innovative checkers out of the market. I don't need a "last found" summary, but it would be interesting to see what you can come up with. I do like the ability to filter the logs by type, but I get along alright without it. More interesting would be the ability to jump to a particular date in the logs, including the special case of being able to jump to my found log and see it in context of the other logs near the same time. Actually, that reminds me that you don't mention the link that jumps to my found log: I use that regularly. My profile says 2006 but it's really 2007 when I actually started. cacherowner re:earthcacheinquestion (maybe with GC number or link in case they have so many they can't remember them all by name. I've been caching since November 2003. So going on 12 years now. To keep it simple, I've only commented on the details I use. I deleted the details I don't use or care about. Cache Type - I like the icon for the cache types. It's far easier for a quick view. Description helpful only if it contains relevant info on the cache and/or location. Three paragraphs of why you think your dog is the best in the world matters, for example, is of little use to me. Blank descriptions are just as bad. Coordinates/Location Coordinates are helpful for the game. I also like the state listed. County is of little use (unless it's in my state) as I don't know the counties of other states. Difficulty/Terrain only if it's accurately rated. Special equipment should be 5*, yet I see it listed as 4* or 4.5* too often. I also don't like "inflated" D/T. I rely on this to know which caches I can reasonably do, especially when I'm physically limited. Size Get rid of the "other". Caches are either large, medium, small, micro or nano. Tighten up on what this is based on. Are they rating the size on the film can itself (micro) or the film can in the custom made bird house (medium). Can mke a difference in how one approaches or carries out their search. Hint List one only if it helps to find the cache. "none needed" is useless. The hint is something to help in finding the cache or at least should be. Keep is short and useful. Map (larger, zoomed-in version) I use this ALL the time. Especially to see what other caches are in the area. Cache Owner nice to have - if they actually use their real caching name and not something bogus. Corrected Coordinates - would like to see this more prominent when coords are changed. Print Friendly ( no logs) I still use this as I like a paper copy of the info for earthcaches, virtuals, multis, especially when I'm traveling away from home and won't be logging for a period of time. I use the paper copy to have the info at hand and write my notes/ answers on so I remember everything when it's time to log when I get home. Disclaimer I don't read it, but see the possible legal need for it on each cache page. Personal Cache Note (PM feature) Use this to record my the date I updated and/or verified coords for puzzle caches. Especially helpful if the puzzle changes and I need to know if I need to resolve it again. Find… (links to nearby caches, waymarks) I use the nearby caches links and benchmark links. Not sure what other links are even listed. Add event start and end time fields - I like this idea. I'd like this feature, too, as well as other similar features such as sending someone a message about their log entry. And, by the way, including the link isn't just because they might not be able to remember the names: it lets them jump to the page without looking it up, name remembered or not. I like the way the listings look and the information they provide. One thing: please no huge fonts and lots of white space! Form follows function. Keep that in mind. I've been around since 2008. And for most of that time I've used the page listings for most of my information. For the most part, the information there is more than adequate, although the two map thing (meaning the little one up nearer the top -overview?) versus the one showing the cache location seems redundant. I would like to see the D/T ratings reviewed... Difficulty is just that, Terrain should stick to just that. Accessibilty to people with diabilities would be handled by the Handicaching ratings, since they address both different disabilities and a range of ability within each. Always considered it a bit odd that most people can't get beyond summing it all up with wheelchair accessible... what about the others? A place to describe technical skills and gear might be nice, but that might just be a part of the description text. Refining attributes (simplifying them to class might do well). Right now they get confusing. But that is when one is reading them, not searching with them as filters. Readers might just want to see much broader topics... ie. HAZARD Present... and a matching box placed into the description with an explanation alongside the attribute symbol. Right now they hide over in the corner. GS might consider this... the situation of encouraging people to create a cache page with all the bells and whistles (whatever they be) for people to read, use and enjoy... and then creating the means for all the masses to simply bypass the page and only download something that they don't even look at... just head for the coordinates uninformed. Sure some caches are fine that way, but others need to be read. Now the best way is to put it in the unknown/mystery category so people know they should read it. I guess that EVERYONE now is wired to the web and has the latest gear, but that is not the case with many in reality. But it is something to consider... overall, I'd rather have an official policy of READ them. I only own one cache, and I know that while it is a traditional, there is lots on the page about that and it's neighbours.. that really need to be seen. On the other hand only one person has found it last I looked. And I'm the only one who found his... but that is how I found out about things up there, and why I put mine where it is. Thank you all for sharing your feedback. We will now be compiling all of the posted messages and using this information to start the next step in planning.